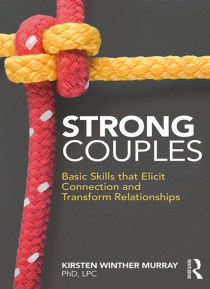 Strong Couples: Basic Skills that Elicit Connection and Transform Relationships introduces an intelligent and flexible framework to guide sessions with couples. Informed by grounded theory research, this book provides a foundation for understanding couples' needs and advancing sessions toward lasting and meaningful change. Drawing on illustrated case examples throughout, Murray demonstrates the va… lue of couples counseling for all by providing an adaptive structure to be applied across diverse contexts and circumstances. With chapters focused on areas of self and relational awareness, genuine engagement, vulnerability and responsiveness, sharing responsibility, and valuing one another, this book will help counselors guide couple discoveries and new relationship experiences. Each chapter is fully integrated with therapeutic techniques to realize this process.Mobilizing the couple's initiative to explore and develop their relationship, this book will aid counselors and marriage and family therapists alike to implement purposeful steps for helping couples change.